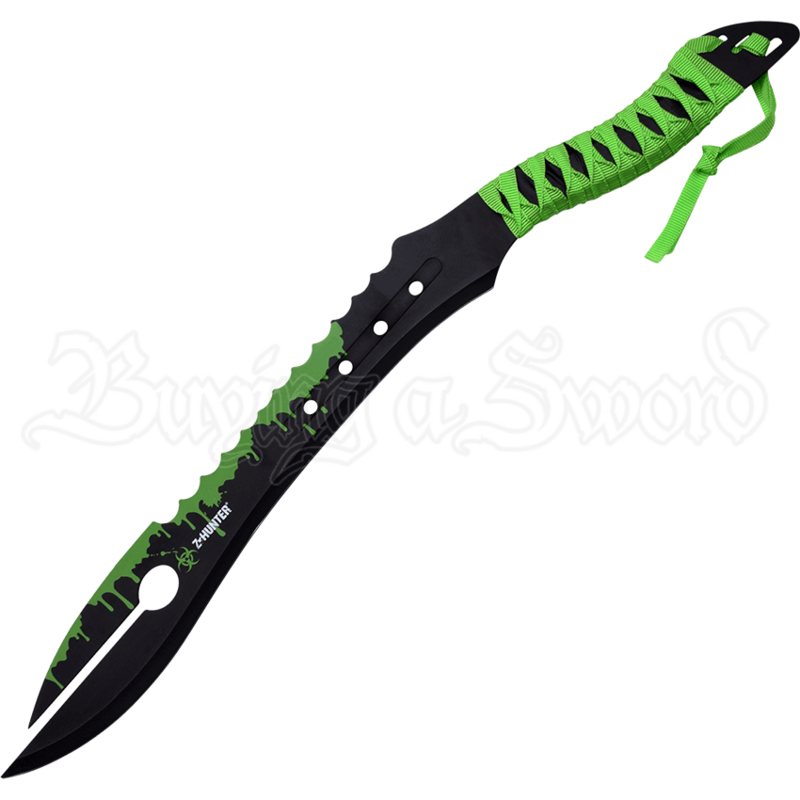 Uniquely designed with one thing in mind, slaying zombies, the Forked Blade Apocalypse Short Sword features an astonishingly eye catching design with a fantasy inspired blade which has a forked tip with two sharpened points. This blade features a saw tooth spine which ends toward the tip and transitions into a cutting edge. The top edge of this blade is shorter than the bottom, with both culminating in a sharp point. It is crafted from stainless steel and features a black finish with zombie themed accents. Complementing the vibrant green decorations on the blade, the handle is wrapped in matching green fabric for a comfortable grip. 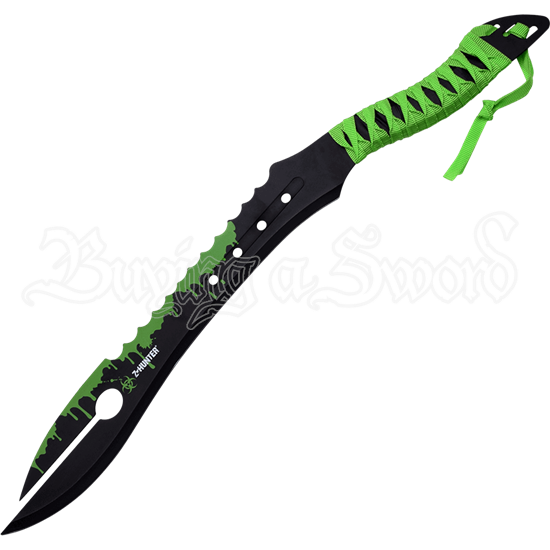 A black nylon sheath is included with this leaf bladed sword to allow for its safe storage and transport. Distinguish your zombie defense gear from all others with the Forked Blade Apocalypse Short Sword.